Oh my goodness, when I tell you that I’ve been working on something in the background, have I ever!! This has been more than a year in the making and today is the day! Today is the day where I launch my new Die of the Month Club!! Eeeeeek!! I’m dealing with a lot of real-life stuff trying to find my way back from my house being a casualty in Hurricane Michael. This is a breath of fresh air! It’s just what I needed to genuinely put a smile on my face today. 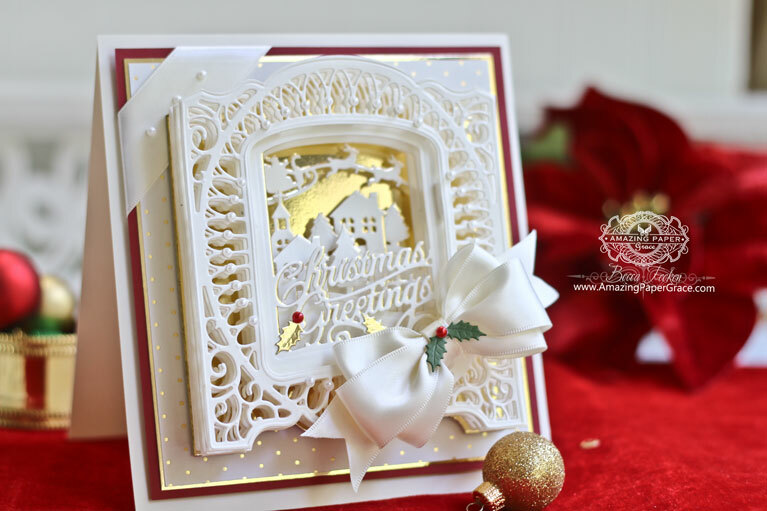 So let me introduce you to a new program over at Spellbinders – The Amazing Paper Grace Die of the Month Club! We design and test dies for a long time before they get into your hands. When brainstorming my first design, I thought how lovely to make something fresh for those new to my tribe. BUT, then again, how can I make something that will work with what’s already in your stash? Well, I’ve gotten emails begging for more templates to work with 3D Vignettes — and even more begging for something Christmas. This is my second Kit Club and if I had a dime for how many emails I’ve received to bring it back, I’d have some change! Your wish, is my command, it’s back and it’s within your budget!! 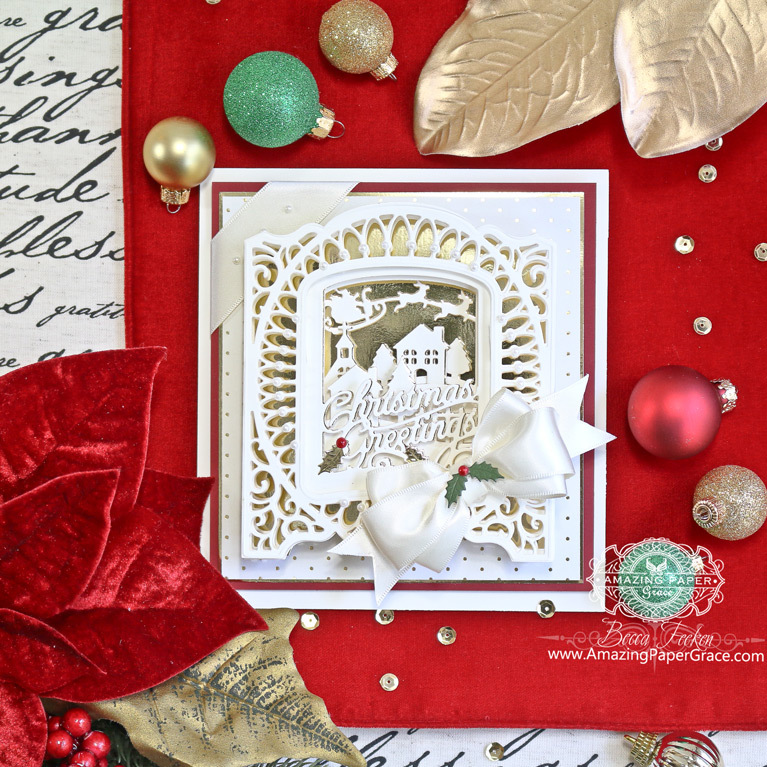 My first die of the month is called – the Christmas Village Vignette Frame Die. This design is essentially a “faux” Vignette design. On its own, it’s a frame — however, it will fit into the 3D Vignettes template if you already have it. These dies are limited and available until the supply runs out. My creative team and I are having a Blog Hop on Sunday, November 4th at 9:00 am Central Time. We’d love to share some of our inspiration with you and explain why a Die of the Month Club. I also want to share my process for curating these special, exclusive dies. In the meantime wanna see what I created right out of the box? There is a whole post here chock full of details, showing three cards I made as well as a video tutorial I filmed to lead you through your first card —-> CLICK for INSPIRATION!! Have questions about the program – these FAQ’s will have you headed in the right direction! Thank you for stopping by today. I’m still a vagabond from the hurricane but this is a great joy to me and I didn’t want to postpone it. That’s what life is about, isn’t it — grabbing a smile, a good feeling, or creating when you can? Please do me a favor — I design from the heart and wholeheartedly listen to what you say. Because of that, please be sure to leave some feedback here or on the Spellbinders Blog. Also when you join the Club, we rely on your feedback to make sure we’re producing the right kinds of dies, so please be sure to leave a review! Good morning Becca, oh my goodness me. Love love love these. I want, i need, I must have.? Oh Becca it puts into prospective what’s really important in life when tragedy strikes. Hope you’re OK!!! Still in my prayers!!! I’m so proud of you and super excited to join your subscription!! I sent you an email about the PO Box still working for you. I’m sure you’re swamped, but JLMK. Your world is brightening and I hope busy enough for the re-do on your home to fly by. Hurry I did. I have already signed up for your exciting and lovely Club subscription and looking forward to the first kit. Congratulations on this lastest release. Thank you for the beautiful samples and current video shown on Spellbinders site. I like how you layed out the cut pieces one will need to construct your card. I am sure I will be rewatching the videos over and over again. It will be like me having you here in my home tutoring me. A one on one experience. I am so excited Becca for you on this new journey you have embarked on starting this month of November 2018. I am pleased to be part of it. I was so excited about this Club, that I rushed over to sign up and discovered that the Spellbinders site is have a bit of a computer glitch (common problem when something is new!). Never fear, persistence will prevail! I love this new die set, your creations and tutorial are wonderful and I am beside myself with glee over all the delightful surprises to come! These are gorgeous. I love all of your creations! Glad to hear that you are slowly recovering from the damage caused by the hurricane. I know from first hand experience how traumatizing it can be but you just have to keep a positive attitude no matter how difficult it seems. I’ve just signed up for you Die of the Month. Love your dies and looking forward to the monthly offerings. My only request is that you start offering larger dies. Congratulations on the launch of your club! I hope you have loads of success – I know you will. Your cards and designs are always spectacular. Beautiful card Becca! Beautiful die set. Love all the details. Hi Joanna I love your work I always go to your blog for inspiration also…. 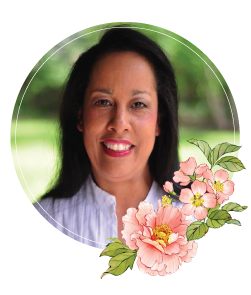 someone looking over you in Gods care would be ……..
life is blossoming to fruition and you can be proud and happy about that !!! some sort of normality so you can settle down again . price from spellbinders to Australia it does put it out of our reach sadly . My head must be in the clouds why did I think you lived in Vegas? I am so sorry to hear about the evac but glad you are ok. I have family just north of Tampa and always get a little worked up when you all have that nasty weather. I love the idea of this club and of course my heart sings when I see your creations. Praying things work out quickly in getting your house back in order and am glad you are ok. I am so excited about the kit. No fear, cuz! I of course, ordered it! I will make you one!! and then you can say, “Oh you are getting so good!” one more time. Congratulations Becca on another amazing project idea. Beautiful designs! Coming from the UK, it’s not so cost effective to join the club but I wish you every success and I’m sure you will get lots of your American followers joining.